Astons Coaches employ around 70 full time and part time drivers. All are specialists in their field. Whether its driving a local bus or holidays to the edge of Europe you will always receive a professional, friendly, knowledgeable and uniformed driver. Our driver recruitment process is thorough and all of our drivers are DBS checked and Council approved to work with children. They are highly trained and undergo regular in house driver CPC training. 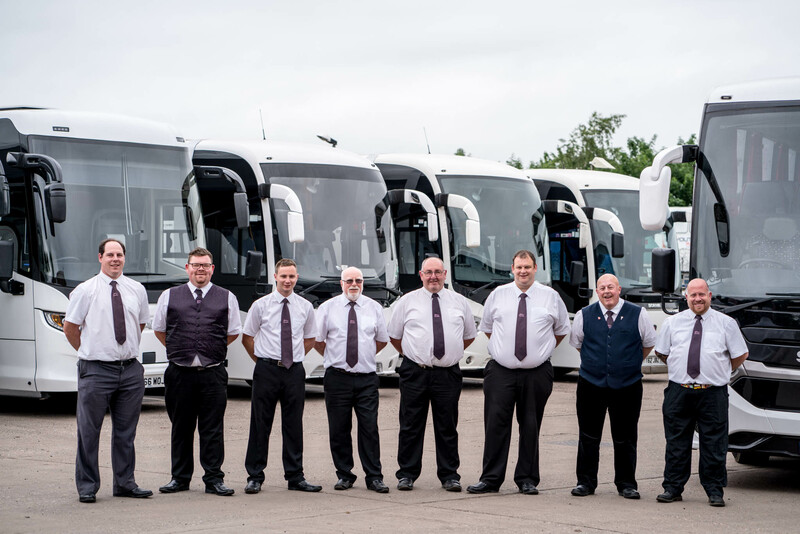 A number of our drivers are long serving employees who are proud to drive for Astons Coaches due to our longstanding reputation of quality service. All are committed to providing a relaxing and enjoyable journey to their passengers, no matter how long or short.